I wish I could put names with all of these faces. But you can tell just by looking at them, can't you, that they're a great fun bunch to work with! 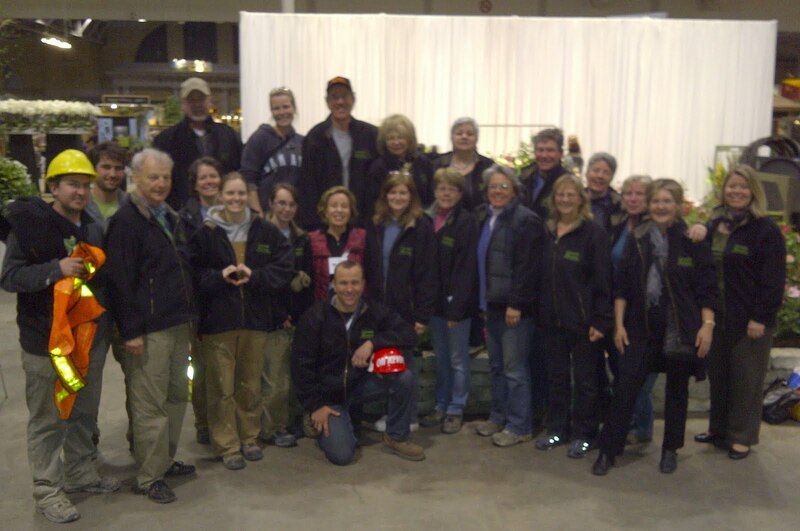 The fact they're still smiling after many of them have been working non-stop for days says a lot about them. It brings me back year after year. 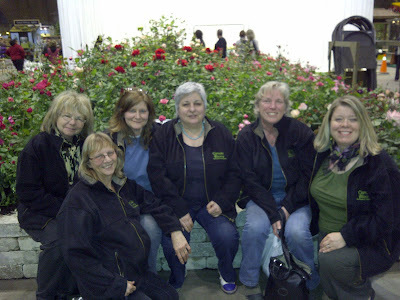 Canada Blooms volunteers in front of the rose garden. Yes, that's me, on the far right. 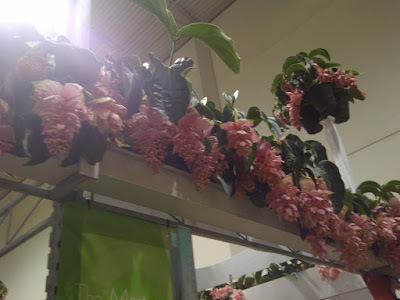 For the past several years I've had the privilege of volunteering a day or two of my time to assist with planting the large decorative planters that are placed throughout the aisles of Canada Blooms. It's a huge amount of fun to have this many plants to play with, especially in March! 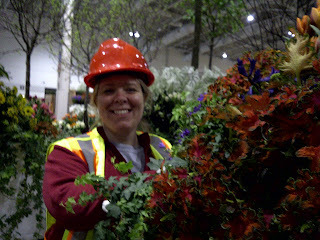 I'm beaming because that orange coleus is so fantastic. It's name is ruffle something or other, and I'll definitely be growing it in my garden this year! 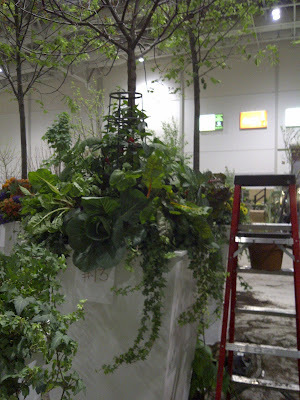 A few of the decorative planters we created this year featured edibles. I have to say that these were the most challenging ones for me. 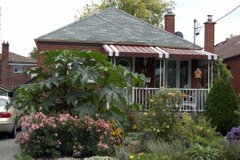 I grow tomatoes, herbs, cucumbers and peppers in pots in my own garden. But making a flower show worthy display in a planter (the idea is to make an arrangement that is eye-catching and inspiring, which is very different from providing a plant with its ideal growing conditions for a full season) of fully grown vegetables, overwhelmingly comprised of nothing much but green leaves, took all the imagination and gravity defying skills I could muster. The cabbages are like giant roses, to my eye. 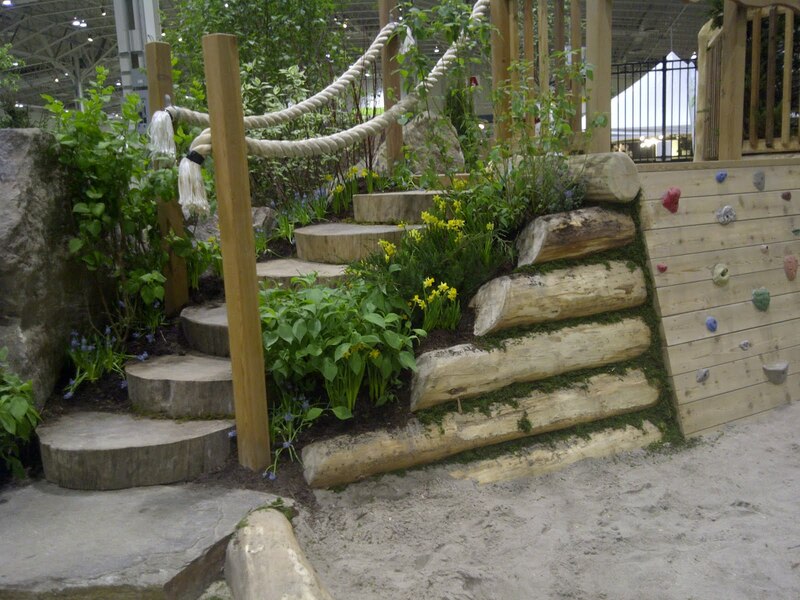 Have you ever seen a more charming set of garden stairs? 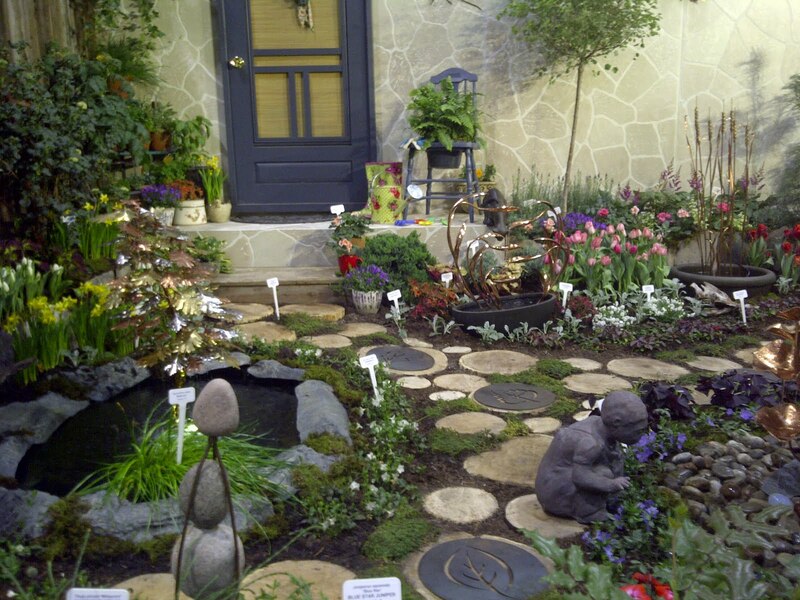 There's so much to look at in this garden. I especially like the copper water features. 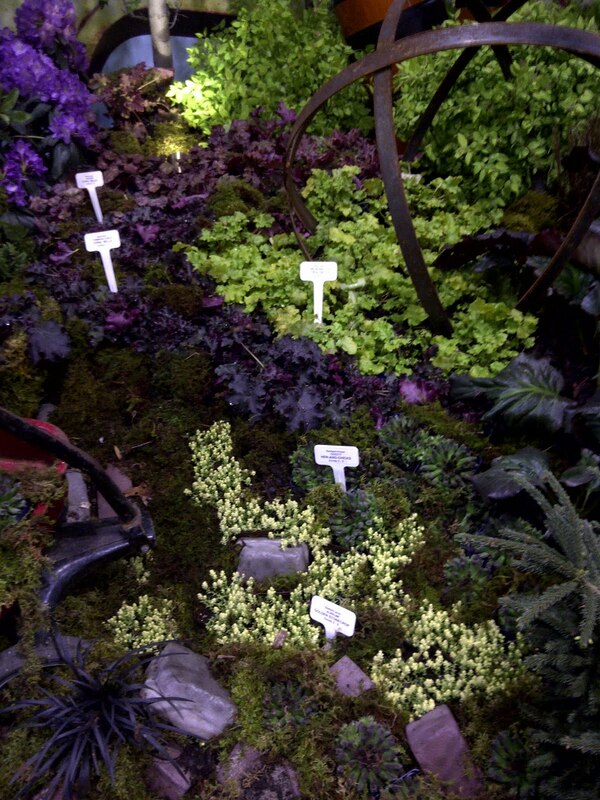 A clever tapestry of heuchera (my favourite!) 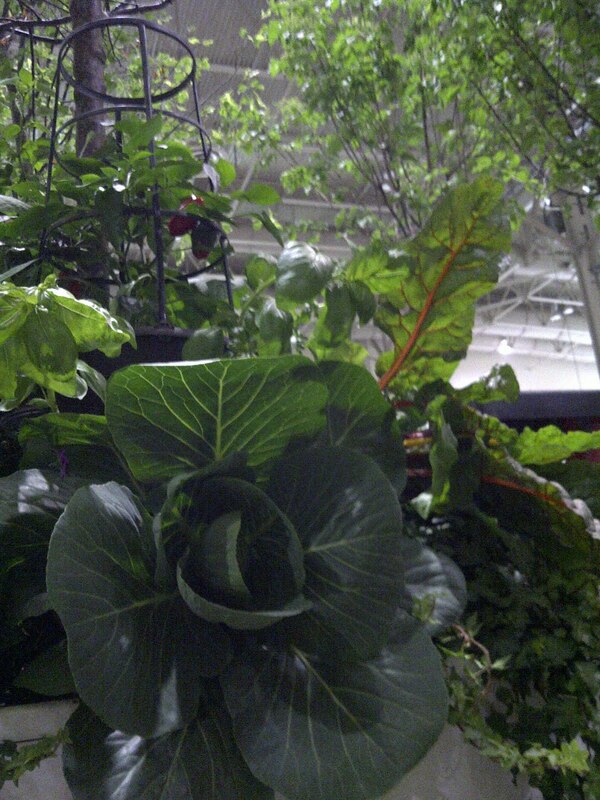 and other fantastic foliage plants. 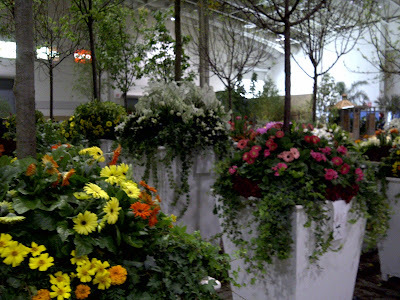 So that's my sneak peek of Canada Blooms 2012. I'll be at the show a couple times (with my good camera!) over the next ten days so there will be more pictures later. One of my favourite things about the show is learning from some top notch speakers. I'm disappointed to be missing Marjorie Harris' presentation tomorrow, but very much looking forward to hearing Paul Zammit and Liz Primeau (on growing garlic!) on the days I will be attending.